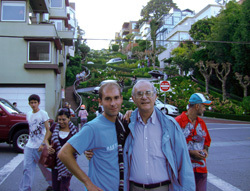 Between October 25 and November 9, 2009, I visited the USA with the aim of presenting the results of the research carried out at the Institute of Technical Sciences of SASA through an invited conference presentation in Pittsburg, Pennsylvania, and lectures given at three Universities in California. 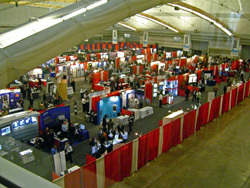 Pittsburg hosted the Materials Science & Technology 2009 Conference and the MS&T'09 Exhibition on October 26–29. In their Conference keynote addresses, Dr. Jeff Wadsworth, CEO and President at Battelle Memorial Institute, and Dr. Steven Koonin, Undersecretary for Science at the U.S. Department of Energy highlighted new energy challenges to materials science and engineering. The Battelle Memorial Institute is the world largest non-profit research organization employing 21,000 people and having a budget of five billion dollars. It manages or co-manages on behalf of the United States Department of Energy national laboratories like Oak Ridge, Argonne, Brookhaven, Sandia, etc. The MS&T'09 Conference was organized by the American Ceramic Society, The Minerals Metals & Materials Society (TMS), Association for Iron and Steel Technology (AIST) and ASM International (ASM). The conference included more than 60 symposia of various duration (from single-day ones to those that lasted throughout the Conference) with 1,800 presentations on various materials science and engineering issues. 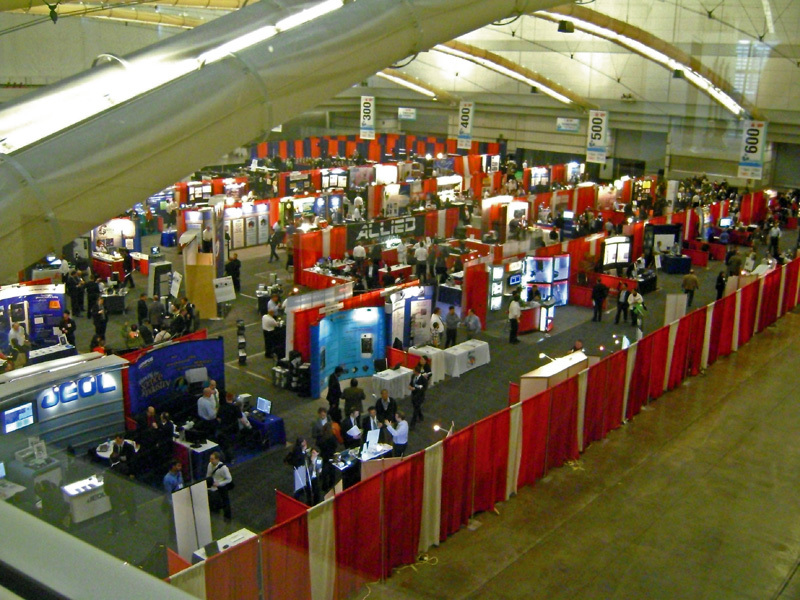 The Conference was accompanied by an impressive exhibition of equipment, products and services (including more than 100 exhibitors). The symposia were divided into eight sections. Magnetic Materials: Structure, Thermodynamics, and Properties. Materials Solutions for the Nuclear Renaissance. Structural Transition and Local Deformation Processes at and near Grain Boundary. Steel Processing, Product and Applications Symposium. Surface Protection for Enhanced Materials Performance. Synthesis, Microstructural Characterization, Mechanical Properties and Physical Properties of Nanolaminated Ternary Carbides. Apart from the above-mentioned symposia, the Conference also included sessions dedicated to special topics like federal funding or career opportunities, as well as ten symposia at which life awards were given to renowned researcher; the symposia bore the names of scientists like Arthur L. Friedberg, Edward Orton Jr., Robert B. Sossman, Rustum Roy, Richard Spriggs, Merton C. Flemings, Richard M. Fulroth, etc. I gave the invited lecture titled “General Strategies for Multi-Scale Designing of Fine Particles at a Molecular Level” within a symposium dedicated to the synthesis and processing of new materials. It was followed by vivid formal and informal discussion. I also co-chaired a session on the relationship among chemistry, processing, micro- or nano- structure, and the properties of new materials within the same symposium (International Symposium on Dielectric Materials and Electronic Devices: Chemistry-Processing-Microstructure-Property Relationships II). After the MS&T'09 Closing Ceremony, I took a flight to San Francisco. The schedule included visits to three universities (UCSF, UC-Berkeley and Stanford University, Palo Alto, California) and a lecture at each of them. University of California, San Francisco is one of the ten campuses of the University of California and one of the leading research centres in medical science. My son Vuk, who is spending there the third year of his postdoctoral studies, played the role of the guide through the Division of Biomaterials and Bioengineering. While walking through laboratories, he explains that the Division does not enroll undergraduate students, but merely doctoral and postdoctoral ones, as well as that their postdoctoral programme, with 1200–1400 students, is the leading in the United States. He discusses the new policy and the role of postdoctoral fellows at the US universities. 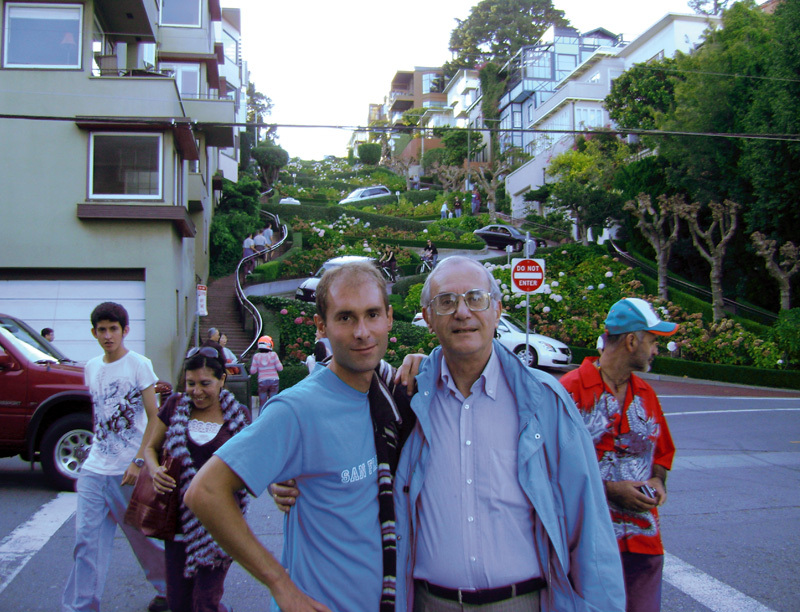 Vuk is very proud to have become the first non-American president of the UCSF Postdoctoral Scholars Association. Faced with numerous questions about Serbia, he almost feels as an ambassador. I couldn’t resist visiting the famous UCSF Library, where you can plunge yourself into reading surrounded by silence and serene atmosphere. Turning book leaves, I hope that electronic readers will never replace this kind of communication with great minds. I have always felt that each book has its own particular smell and taste, which various displays lack. Students read dedicatedly. Some of them occasionally take a nap in comfortable leather armchairs, with their legs on the table. Walking through the Library, I discover the ongoing annual symposium on children’s bone health. The single-day symposium covered the general issues concerning the structure and characteristics of children’s bone tissue, including various physicochemical methods for its characterization. Wishing to hear something about characterization methods (PET – Positron Emission Tomography, various spectroscopic methods), I joined the audience. At the UCSF, I gave the lecture titled “Multi-Scale Approach to Designing of Bio-Nanomaterials”; it was attended by the members of the Division of Biomaterials and Bioengineering. It was warmly accepted and it led to a lively discussion. The central issue was the possibility to integrate our research concerning the synthesis of particles with controlled properties and theirs, concerning the synthesis of special proteins. After the lecture, as well as during the next day, I had a long discussion with Vuk’s professors Stefan Habelitz and Wu Li on the synthesis of hybrid multifunctional nanoparticles. I brought to San Francisco some of the nano-systems synthesized at the laboratory of the Institute of Technical Sciences of SASA. They will be analyzed there, and the results of the analysis are expected to throw some light on the above-mentioned issues. 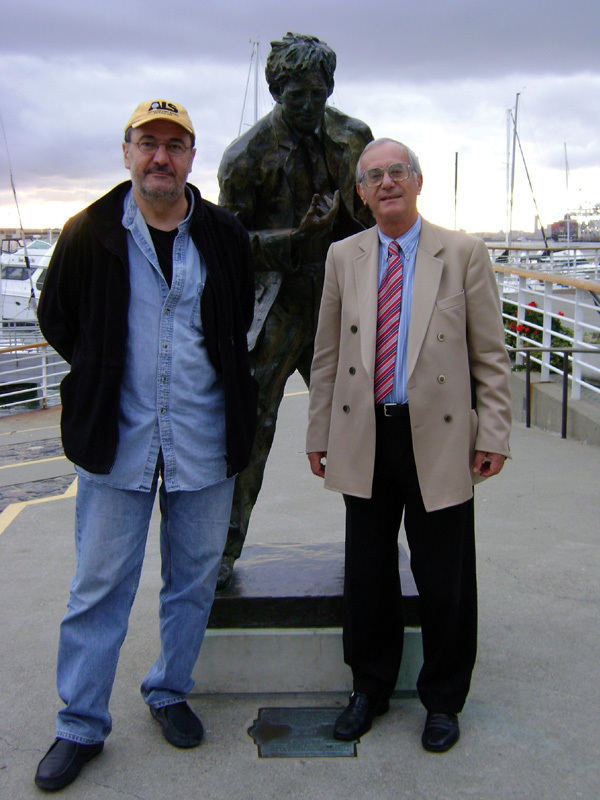 On Thursday November 5, I visited the NCEM National Center for Electron Microscopy at Berkeley, where I was welcomed by my friend and colleague Prof. Velimir Radmilović – Mimo. There we had a conversation with Ulrich Dahmen, whose plenary lecture was featured at the YUCOMAT 2008 Conference, after which Mimo took me on a tour of the Center. He gave me a detailed overview of the TEAM Project – the Transmission Electron Aberration-Corrected Microscope development, which was successfully completed in March 2009. It was funded by the US government (which provided 27 million dollars), with the support from FEI, the world greatest manufacturer of electronic microscopes. One of the key conditions set by the Government was that all the manufactured devices, except the prototype located at the Center, can be freely sold all over the world. The purpose of the Project was to increase the resolution so that the device can capture sizes below 0.5 A, but also to improve discrimination between elements close to each other in the periodic system. Having in mind the need for rigorous elimination of vibrations, the device is equipped with a probe corrector mounted on special 4 m-high concrete structure. The status of the Center is unusual, though precisely defined: it is entirely funded by the US Department of Energy through the Lawrence Berkeley National Laboratory. The duty of the Center is to dedicate 50 percent of its free time to services for external users who submitted a proper application. The work of the Center is subject to annual assessment by a special international committee, which reserves the right to stop any project due to poor quality of research or unsatisfactory performance by the Center. However, the TEAM Project members had many reasons to be happy since the Project was highly assessed. Results obtained on this device are already on front pages of journals and magazines like Science, Nature or Nano. In late afternoon, I gave a lecture on multilevel designing of nanoparticles to the researchers working at the Center. It was followed by a very interesting discussion, which also concerned possible cooperation. The schedule for the next day was very interesting. It was made by Ms. Kristina Konjević on the basis of my list of desires (whom I’d like to meet before my lecture) sent from Belgrade. Stanford University was founded by Leland and Jane Stanford in the memory of their early deceased son Leland Stanford Junior in the late 19th century, i.e. in 1891. According to many, it is the world leading university. I visited it upon the invitation by Professor Robert Sinclair – Bob, Chair of the Department of Materials Science and Engineering. Professor Yu Cui is the first person to whom I paid a visit at Stanford. It has been clear that he is Stanford’s young lion in nanoscience and nanotechnology. He is of Chinese origin and he is 33 years old. Prof. Cui took his doctoral degree at Harvard University, where he worked under the supervision of Professor S.M. 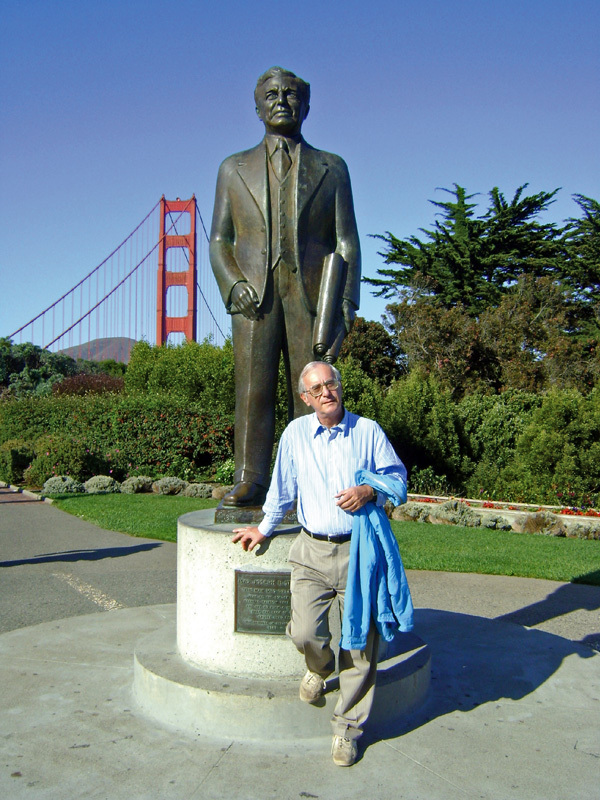 Lieber, and spent two years at Berkeley as a postdoctoral fellow with Prof. Paul Alivisatos. According to many, both scientists are highly ranked as potential Nobel Prize candidates, having in mind that both have about 40,000 citations and an h-index between 80 and 90. 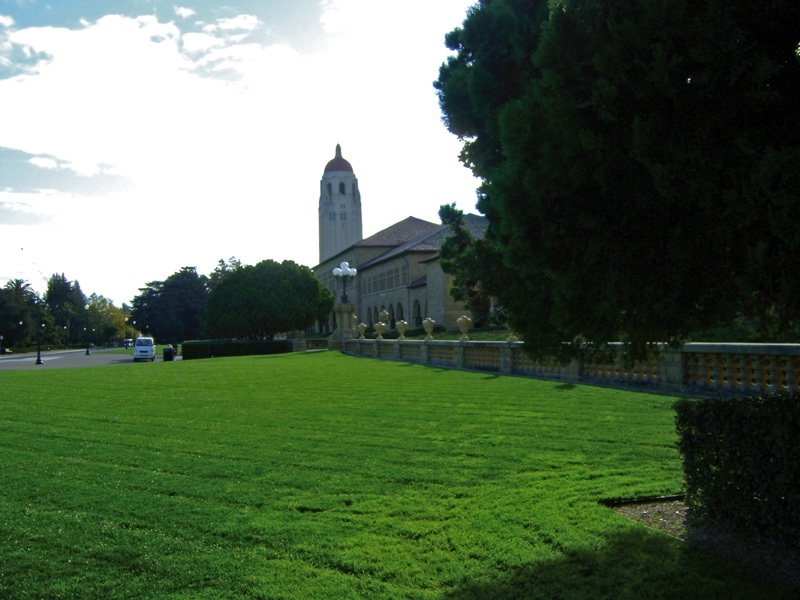 Professor Yu Cui has been working at Stanford for about four years. His project has been allocated a budget of 2.5 million dollars per year and is carried out by 28 doctoral and postdoctoral students. 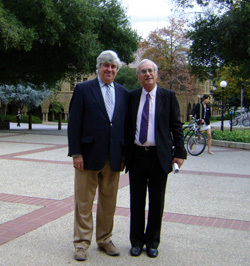 When he came to Stanford, he had already published a dozen papers in the most renowned journals. He was given a budget of 250,000 to launch his research project. After the meeting with Prof. Cui, I was given an opportunity to talk to three young researchers from his team. One of them, a young lady who has just taken her doctoral degree, has already published six papers in highly-ranking journals (Science, Advanced Materials, Nano, etc.). Professor Cui is also running a spin-off company with a dozen employees manufacturing silicone-nanotube electrodes. The company is not located at Stanford because the US legislation does not provide for the establishment of small enterprises within universities. Due to this company’s products, the operation time of battery-powered laptop computers was increased up to 20 hours, which is particularly convenient for “intercontinental” businessmen. I was also introduced to Prof. Stacey Bent, Co-Director of the Center on Nanostructuring for Efficient Energy Conversion, launched on August 1, 2009 with a five-year budget of 20 million dollars. The US Ministry of Energy established 47 such centres throughout the country, investing about one billion dollars in the programme. The Center operates as a virtual company: the project participants are located at their universities. One of them comes from Denmark. The greatest part of funding covering the expenses of foreign researchers comes from their own countries. The funds provided by the US government make a minor share meant to cover the activities limited to the US territory. I also had the opportunity to talk to Professor Robert Wilson of the Center for Cancer Nanotechnology. The chief goal of the Center is to develop methods for early cancer detection and treatment. The Center has developed special sensors based on magnetic or gold nanoparticles. Its director is Professor Wang, whereas major contribution to its research is made by Prof. Sinclair’s team involved in electron microscopy and Raman characterization of such nanoparticles and the analysis of their in vivo behaviour. After the meetings, I gave a lecture on the recent results obtained at the Institute of Technical Sciences of SASA in nanomaterials synthesis. It was followed by a long discussion. Professor Richard Siegel, director, Nanotechnology MRSEC Center, Rensselaer, Troy. After the lecture Bob took me to his home at Palo Alto, at a five-minute drive from the University. While waiting for other guests, Bob prepared barbecue. Sipping Montenegrin grape brandy and light Californian wine, we stayed late, fully immersed in a lively discussion. All in all, my visit to the United States was very fruitful in terms of the promotion of the Institute’s research results, getting insight into current lines of research, and meeting leading researchers who could be attracted to get involved in potential joint projects.